The individuals who suffer most from androgenic hair loss may be the younger individuals. Younger individuals are developing into their adult form and are more impressionable by social influences. They begin to notice the effects from hair loss in their social lives and are typically far more conscientious about any physical changes that they experience. Young people get through school graduation, immerse themselves into a career field, and begin living as large as the possibly can. Younger adults want to believe that they are invincible until they begin seeing the effects of natural maturation. By the teenage years, males can begin to see noticeable hair loss. Close to forty percent of a male’s hair will be gone before it clearly becomes noticeable. Most women won’t see changes until their forties. The first action that young hair loss sufferers take is to research the causes of hair loss. The next order of operation is to change the situation by the quickest means possible. Any person who seeks hair restoration should take into consideration that there is a long list of products that can provide hope for their predicament. Young adult males just want to be who they were in the past and feel like they did before they lost their hair. The hair loss crushes their confidence and seems to rob their hope to attain dreams. Hair loss in youth almost always advances the appearance of premature aging. There has been an increase in the number of young men undergoing surgical treatment for their hair loss. These days we have adopted the notion that we can only feel good if we look good. The definition of good should be defined as having a natural physical appearance with good mental, physical, and emotional health. Treating hair loss isn’t just a physical solution because the gains that patients experience from hair regrowth are physical and physiological. Hair loss solutions can often change the way a person thinks altogether. It’s difficult to face the fact that hair transplant patients and patients on medical therapy may be chasing this problem much further than they may anticipate. Our purpose for instructing against surgery as the first and only course of action is to save patients from themselves. Ethical clinics know that younger patients may not know what their best interests are while others simply look to make financial profits. All patients, whether they be young or suffer from advanced hair loss, should know that surgery comes with its effects. Any surgery will produce a scar that may or may not be noticeable. Young male patients who just want surgery need to take a step back and look at the whole problem. We can forecast hair loss to be constant. Hence the reason why young hair loss sufferers and individuals with advanced hair loss should still commit to medical therapy. Whether to be on medical therapy for hair loss is a very personal decision. Whether hair loss sufferers pursue surgical hair restoration is not as important as the decision to maintain their existing hair. Not only do individuals who suffer from hair loss want hair but they should also want to keep it as well. Hair transplant surgery, medical therapy, and other hair loss solutions all require financial responsibility. Swallowing a pill and the reality of hair loss isn’t easy especially if the results aren’t visible until six to twelve months. The commitment to a treatment plan is crucial because the nature of hair loss is progressive. The crown can be complicated to treat as it can continue to recede on all sides. Suffering from advanced hair loss requires that patients prioritize very specific goals that are consistent with administration of medical therapy. Many patients will have about six thousand donor follicular units available for hair transplantation. The donor resources of each patient are very finite and reserving donor supply is critical due to the fact that future hair loss is unpredictable. We can slow the progression of hair loss but we can by no means control it. 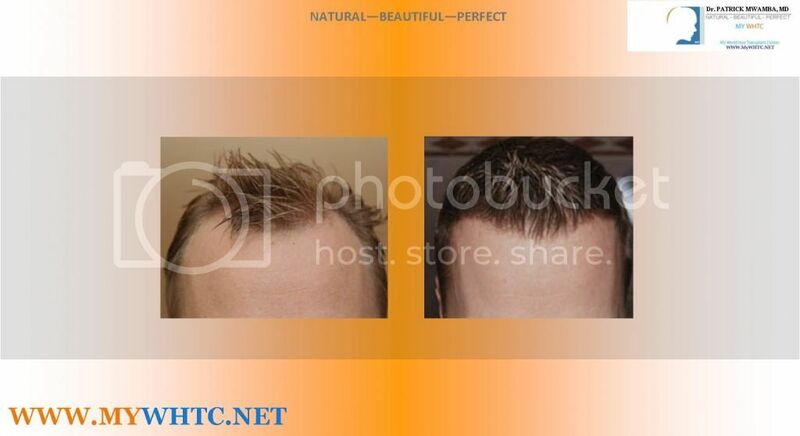 We are at the cusp of 2014 and we are just now advancing hair transplant surgery with cell therapy. It’s imperative for prospective hair transplant patients to develop realistic expectations based on the possibility that they may be unable to treat all of their future hair loss. It can be very hard for a patient to acknowledge this uncertainty. It is a very unfortunate position for a young individual to be in to expect more hair loss after already having lost a significant amount of hair. The situation can complicate much further if the donor area has been entirely consumed. This is right on point. Thanks for the great post!!! Hi. We need to give our younger people as much sound guidance as reasonably possible. Hair loss is a party that lasts for quite some time. There’s no reason for sugar-coating or diluting this truth, right?